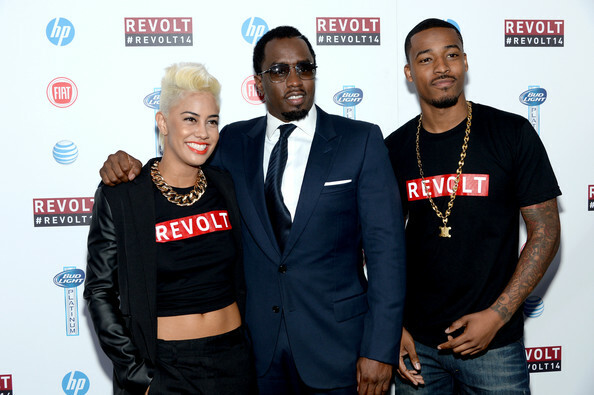 Current host on Sean “Diddy” Combs network Revolt TV and Temple graduate, Dj Damage, proves just how hard work and dedication pays off. At only 25, Damage has made a name for himself in the music industry by working with some of the biggest names in the business such as Meek Mill, Wiz Khalifa, and currently Diddy. Born and raised here in Philadelphia, DJ Damage aka Abdul-Quddas Muhammad began mixing as early as 11 after realizing that pursuing rapping like his brother was not the path for him, according to an interview by Matt Hassoun. By the time Damage reached High School, he was reported to have already begun generating buzz and gaining attention from those in his city. Majoring in Broadcasting Telecommunications and Mass Media, Damage headed to college where he joined Temple’s WHIP radio station and from there, the possibilities were endless. In a tweet on January 25, 2015, DJ Damage (@TheRealDJDamage) offers encouragement to those wanting more out of life, writing, “sometimes all you need is consistency. Find something you love to do and stick to it. I mean that’s what I did. Followed my dream”. Below is an interview I conducted to learn more about One Take Dave and the recent release of his mixtape. OneTakeDave from Sharee Cole on Vimeo.